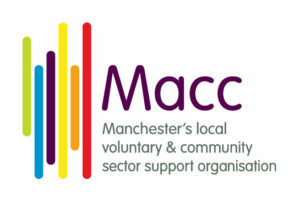 Macc is a support organisation for voluntary, community and social enterprise groups which operate in the City of Manchester. Our purpose is to support, encourage and develop VCSE organisations and individuals so they can have a real influence over the communities they live and work in. We offer many services in order for us to do this. One of which is Capacity Building, this service is here to provide support, training and advice to those who are looking to set up a charity or an existing organisation who simply want to run in the most efficient way. We also host the Volunteer Centre; they exist to help those who wish to volunteer to find an opportunity that suits them through a brokerage service. We also hold activities which enable the sector to come together to share ideas and network, such through the Voluntary Sector Assembly.